Genus of 8 species of evergreen, twining, perennial climbers from forest margins and scrubby areas of temperate to sub-tropical Australia. 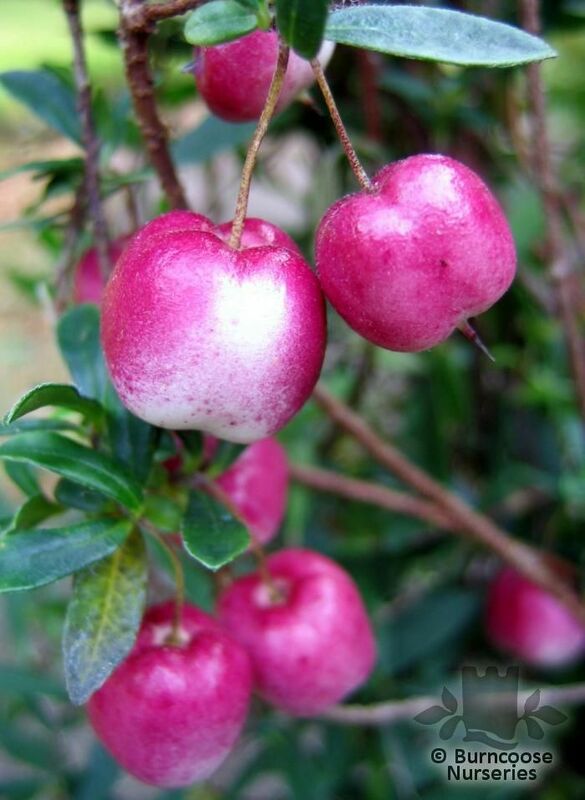 The blueberry or apple berry provides a touch of the exotic with its vividly coloured fruit, quite large in comparison with the slender vine. Evergreen - small, lance-shaped leaves. Climber - Some of these climbing plants will need trellis or wire supports if grown on walls or fences. 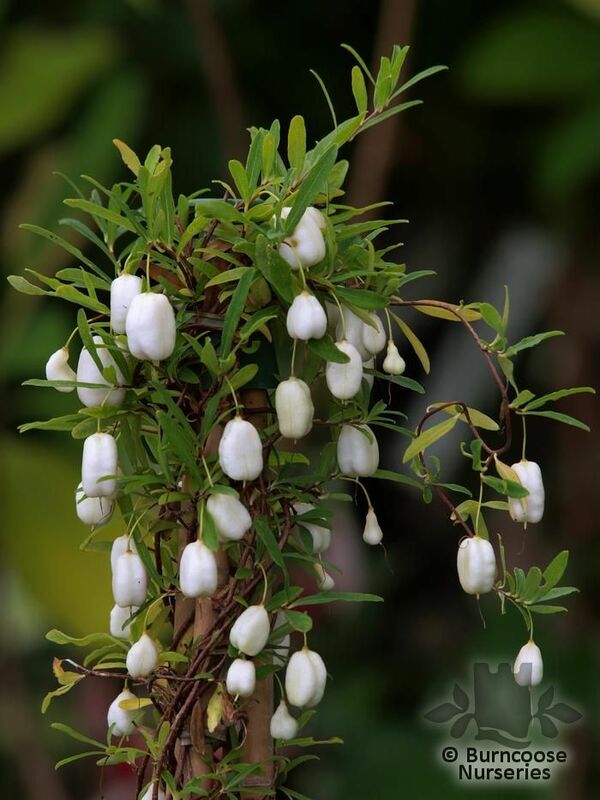 Other grow aerial roots and are self-clinging - perennial climbers grown for their usually bell-shaped flowers on current year's growth and beautifully-coloured fruits. Will grow outside in milder locations - This could include plants which would survive happily in a greenhouse or conservatory if not in a mild location. If you have a sheltered spot in your garden then it may do well here. - lime-free ericaceous potting compost and filtered light for greenhouse growing. Additional Features	- Good to know - can be grown over a pergola, against a wall or allowed to scramble over vigorous shrubs. 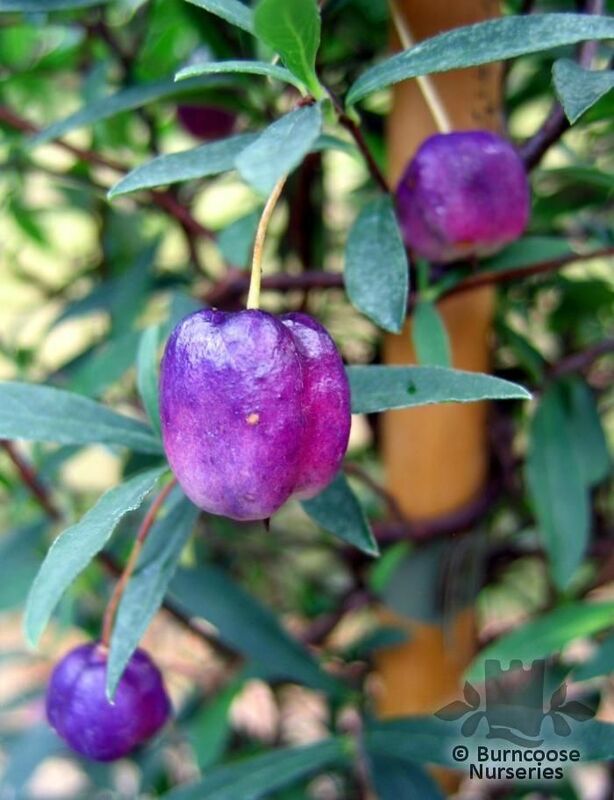 Commonly known as: Climbing blueberry, Purple appleberry.